For all the inordinate amount of time that academic historians spend judging each other (book reviews, tenure committees, fellowship panels, etc. etc. etc. ), they rarely step back to ask what actually makes a member of their profession good. To be sure, they will happily expound on the significance of a piece of scholarly work, going into detail on its evidence, argument and theoretical perspective. But how did the work get produced? Why does one scholar soar into the intellectual stratosphere while others, of essentially identical background and training, plod their weary way through one banal monograph after another? Most American historians—trained, for generations now, to give closer attention to aggregate social forces and impersonal cultural shifts than to individual psychology—barely even acknowledge this question, as if it is pointless to plumb the mysteries of talent and motivation. And so readers of history should be grateful for the appearance of this short book. 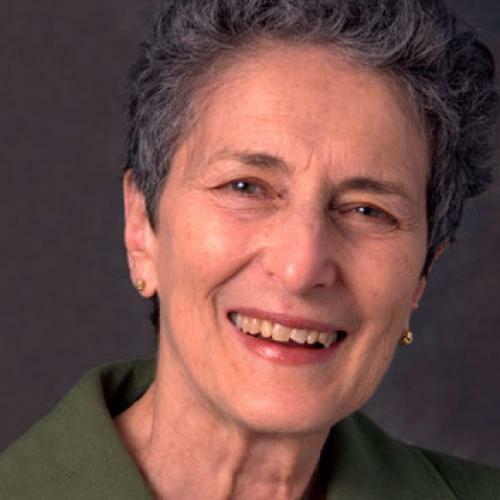 Natalie Zemon Davis is not only one of the greatest living historians—the author of classics such as The Return of Martin Guerre and Women on the Margins— but also one of the most interestingly introspective. And she is a historian of France, where over the past generation scholars have done the most to examine the craft of history on an individual level. (They have even developed a small genre of historians’ autobiography with the tongue-in-cheek name “ego-histoire.”) Several years ago, Davis sat down with the Sorbonne professor Denis Crouzet for a series of remarkably personal conversations about her life, her writings, and the writing of history in general, which a leading Paris publisher transcribed and published. Now, thanks to Michael Wolfe and Truman State University Press, it has appeared in a concise, readable translation. It is a valuable book. Davis made her name as a practitioner of two of the most important movements of the past several generations in history-writing. One was the so-called “history from below,” with its attention to the experiences of ordinary, and marginalized people (especially, in Davis’s case, women). The other was “microhistory,” which uses a particular incident, or individual to illuminate an entire society, like Blake’s world seen in a grain of sand. In both genres, Davis brought to bear remarkable skills as a researcher, excavating gem after hidden gem from the archives and the libraries, while also drawing on a deep engagement with cultural anthropology to help explain what she found. She did so with consummate literary skill, eschewing heavy authoritative tomes for short, rich, and luminous essays that wore their massive learning with extraordinary lightness. Many of her best works used individual lives as the lens through which to understand the past: the sixteenth-century peasant Martin Guerre who goes off to war, and has his place taken, in his village and even in his marriage bed, by a talented impostor; the seventeenth-century widow Marie Guyart who abandons her young son to take religious vows, longs for a martyr’s death, and travels across the Atlantic to help evangelize Native Americans; the Muslim scholar and diplomat Leo Africanus, who, after his capture by Christian pirates in the Mediterranean, converts to Catholicism and writes a great geographical description of North Africa. In all her work, Davis vividly and sympathetically evokes the settings in which ordinary people lived, the constraints they faced, and the strategies they developed to make lives for themselves. Like most of those who embraced “history from below,” Davis had a background on the left, and politics certainly play an important part in her story. Raised in a liberal Jewish family in Detroit in the 1930s and 1940s, she developed an early sympathy for socialism (“I still remember how enthralled I was when I first read The Communist Manifesto in a history class”). Then, in college she met and quickly eloped with a mathematician, Chandler Davis, whose “political engagement,” as she puts it, “had been much more important and longer standing”—he had presumably belonged to the Communist Party. In the early 1950’s, Natalie Davis co-wrote a pamphlet attacking the House Un-American Activities Committee, and soon afterward the Committee subpoenaed her husband. When he refused to cooperate, the University of Michigan fired him from an instructorship, and he ultimately served five months in prison for contempt of Congress. (He spent the rest of his career in Canada, at the University of Toronto.) Both Davises had their passports taken away, keeping Natalie Davis—for eight years—from the archives on which her career depended. It is testimony to her resilience, and her ingenuity in the use of printed sources, that she managed to complete her dissertation and go on to a distinguished career at Toronto, Berkeley, and Princeton (where, I gratefully disclose, she was one of my dissertation readers). Yet it would be wrong to draw any simple connections between these political experiences and Davis’s subsequent work. Unlike so many who lived through the McCarthy period, she manages to look back on it with a remarkable absence of resentment or hyperbole: “I decided long ago that it wasn’t worth the trouble to be bitter…It’s not as though Chandler were in a Nazi or Soviet prison or as if we had been dragged off to a concentration camp.” Her dissertation, on print workers in sixteenth-century Lyon, could easily have developed in a vulgar Marxist direction. Instead she turned away from structural accounts of class conflict to seek more nuanced and complicated explanations of human behavior in anthropology. And unlike another great “historian from below,” E.P. Thompson, whose work often seethes with rage against the social elites who oppressed ordinary people, Davis’s essays pay far more attention, in a tone of hope and optimism, to the ways people succeeded, against the odds, in fashioning and refashioning their lives. One of her greatest essays, “The Rites of Violence,” deals with the horrors of the Saint Bartholomew’s Day Massacre, but conveys an extraordinary sense of understanding for the goals and feelings of the perpetrators. Davis emerges from the conversations with Crouzet as a person who grew up feeling like an outsider—a Jew in a largely Christian society, a woman trying to start a career in mid-twentieth-century America, a leftist in conservative Michigan—but, crucially, not an alienated outsider. Raised in comfort by a loving family, popular and successful in school, her feelings of distance did not fuel resentment but rather a warm and sanguine sense of connection with others, and a sensitivity to the ironies of the human condition. It is these qualities, more than her political engagements, which seem to have most inspired her work, and drawn her to the approaches she took. But there is another factor that comes through from the conversations (and Crouzet deserves great credit for eliciting such frank and fascinating responses). In the middle of a serious discussion of her early political commitments, Davis cannot resist mentioning that at Smith she was also an accomplished composer of satirical (but non-political) college songs, including a ditty entitled “You Can’t Get a Man with Your Brains.” (“You can’t cram for a man / As you can an exam”.) While the song has an obvious edge, foreshadowing Davis’s future role in feminist history-writing, it also highlights the sense of playfulness and the imagination which has arguably been central to her success. It is no accident that so many of Davis’s subjects have been play-actors, tricksters, and impostors of one sort or another (“I think I’ve acquired a sort of style…of always looking for questions about self-fashioning, of fashioning one’s inner and outer self, and even of imposture.”) The story of Martin Guerre was one of multiple, overlapping impostures, including (Davis argued controversially) the decision of Martin’s wife Bertrande to knowingly accept the con-man Arnaud du Tilh as her long-lost husband, because of the benefits and the security that it brought her and her children. Tricksters have always had an outsize role in French folklore and popular culture (even today—think of Astérix), which may partially explain Davis’s attraction to the country. She called her book on Leo Africanus Trickster Travels. Her appreciation of play, and the playfulness that infuses much of her own writing, have allowed her to avoid the pitfall, so common among academic historians, of treating human motivations as a story of humorless intellectual gamesmanship. As she puts it here, with simple eloquence: “Bookish relations are quite different from human relations.” These qualities hardly explain everything about Natalie Davis’s work, but they give some indication, at least, of why it is so extraordinary. David A. Bell, a TNR Contributing Editor, teaches history at Princeton.